Clearwater Pool & Spa of Keene LLC. | Your one stop for pool and spa supplies, pool and spa instillation, and more! 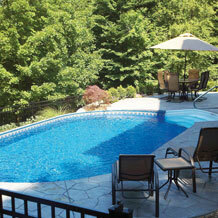 We can install any type of pool you want, from custom in-ground pools, above-ground pool, and semi-in-ground pools. Hot tubs and spas too. Check out our custom pool and spa page. It's important to keep your pool or spa running smoothly. 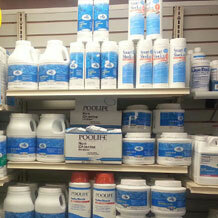 We have all the chemicals and supplies you need. 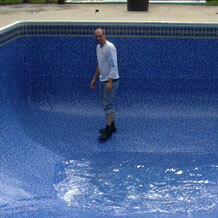 We do more than install and maintain your pool or spa. We can design a custom patio or retaining wall to improve the look of your property whether you have a pool or spa or not. It's important to keep your pool or spa in tip-top shape. Whether it's closing your pool for the winter season or opening it up in the springtime, our certified technicians are ready to help. Clearwater Pool and Spa, serving New Hampshire (NH), Vermont (VT) and Massachusettes (MA) where you will find everything you need to keep your pool and/or spa clean all year long. Clearwater Pool and Spa, located in Swanzey New Hampshire has over 25 years of experience in opening and closing pools! 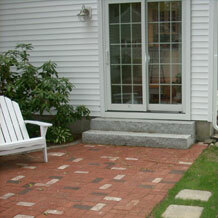 We install both in-ground and above ground pools. Clearwater Pool and Spa of Keene Inc.